What an exciting and amazing tour !!!!! I recommend to everyone this beautiful excursion between sea and mountain. ...........In dragonfly of course. Yes sir Vincent, Fun trip through those stations and very scenic. Glad you enjoyed the excursion. I have to say that your landings in a helicopter.. well, that 2nd last leg - barely touched down at .077. (And almost all heli landings under -50fpm). You are very soft on that stick!. The award for Tour MFC0013 added to your pilot's profile and well done. Yes, 25 is in the books! I hope everyone flies real weather, holy crap! Aye, a tad ugly in these parts for a few days with blowing snow and turbulence-heavy winds!! and a little chilly at -25F or less. Gotta keep that cabin heat on and carb heat, and don't freeze up your pitot!! lol.. Nice job Steve. The award for Tour MFC0025 Chitina-Kennecot is hanging on your parka!. Yep this cold trips is in the books for you!!! Tour MFC0003 - Completed on date by Pilot: Alan G, Pilot # MFC0083. Roger Alan.. some real nice flights there. The award for your tour MFC0003 completion has been added to your pilot's profile. Indeed your completion of the MFC0011 Tongass National Forest Exploration tour has been registered and the award added. And a really nice job on this trip with your DHC-6 300 Twotter! PS: During this tour you reached a MFC milestone: Accumulated 100 Flight hours at MFC. Congrats and well done Thomas. Right on Jim.. and some very nice landings with your 185. 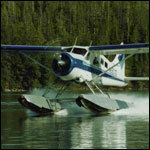 The award for the Tongass trip (MFC0011) has been added to your pilot's profile. MFC0012 TF Docks-Ketchikan à Wrangell is finish for me! It's wonderfull land with Tongas fiords! Indeed Patrick. - like are you flying together with Jim ? from opposite continents? lol. You guys finished tour 12 back to back!! Well scenery is great! Nice work. The award for MFC0012 has been added to your pilot's profile. lol.. Ok Jim Tour MFC0012 TF Docks-Ketchikan to Wrangell is in the books and nice job. (And an extra award for your Jim: During this excursion you reached a milestone - accumulating 100 Flight hours. Congrats and you're honored for your MFC service!. Well done Jim and thank-you. then FSXPILOT AP, an external program. is good for long distance flights but you have to get used to it !! !